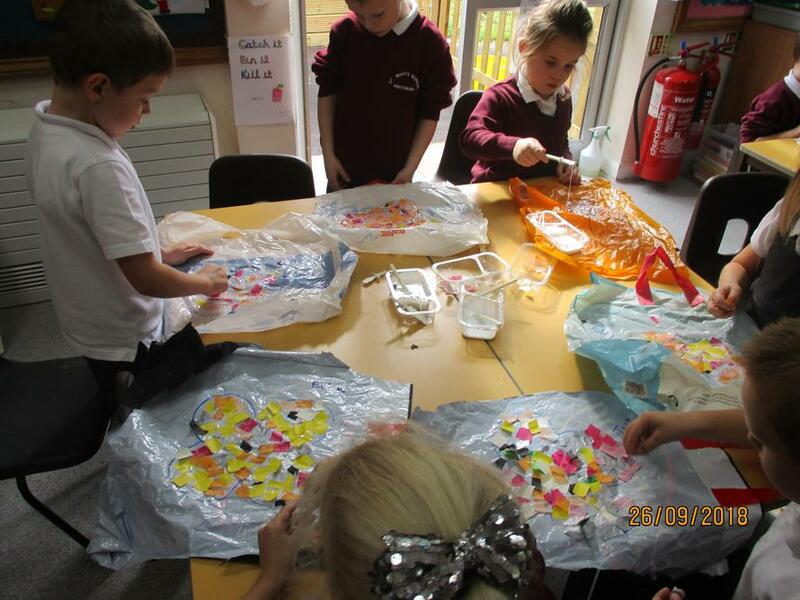 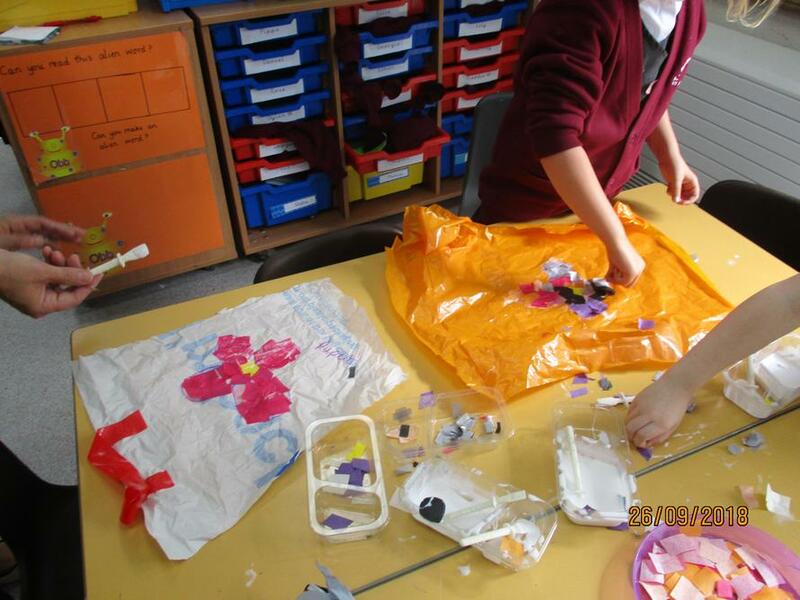 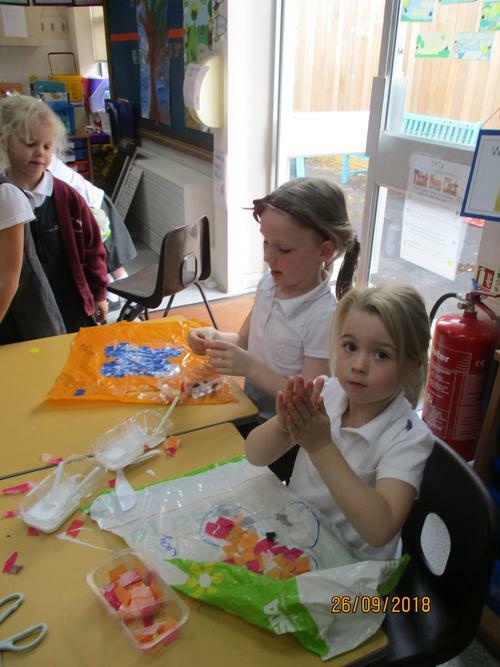 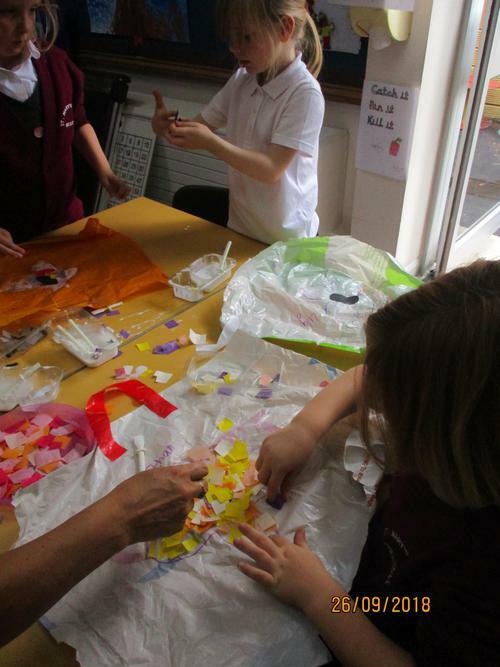 We had a fantastic afternoon making flower sculptures to go outside. 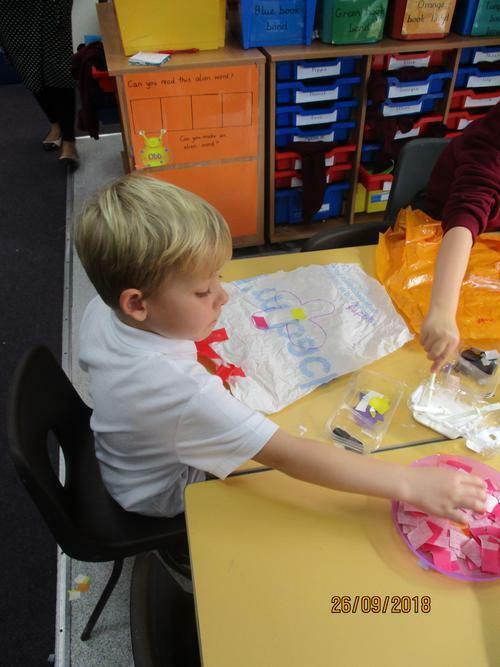 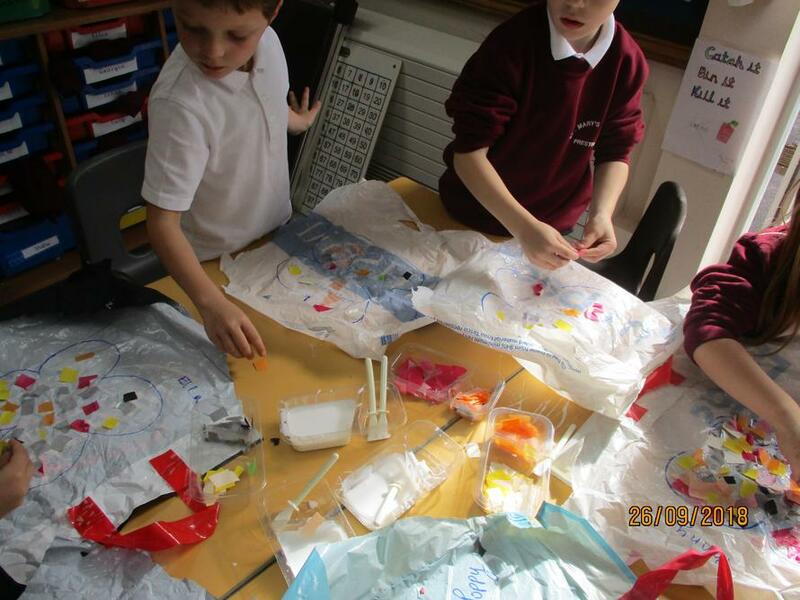 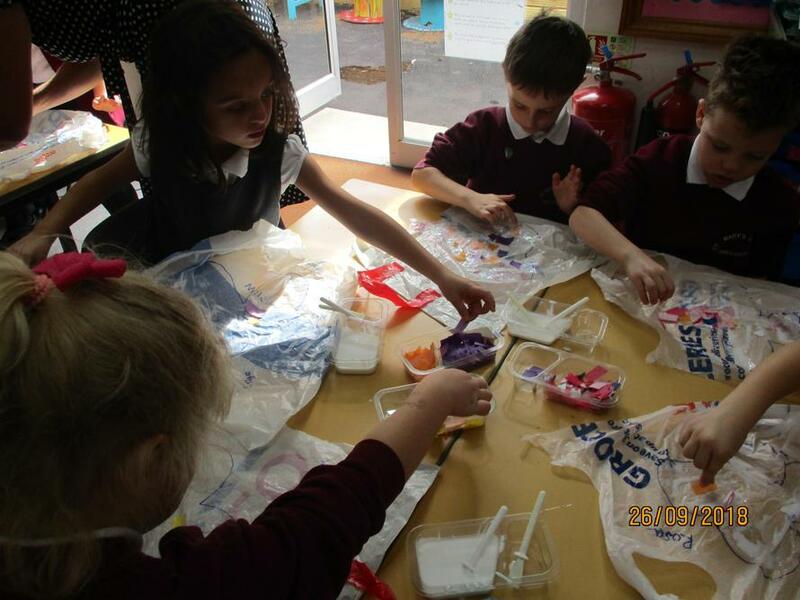 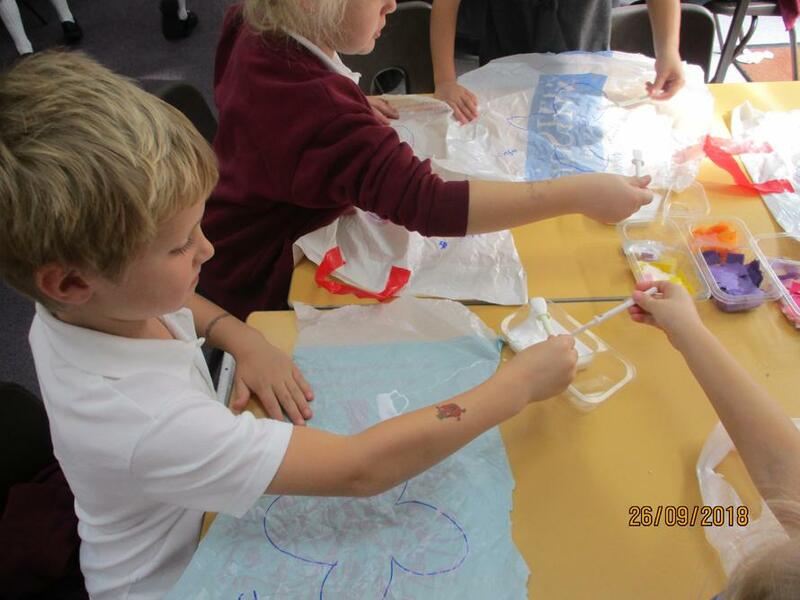 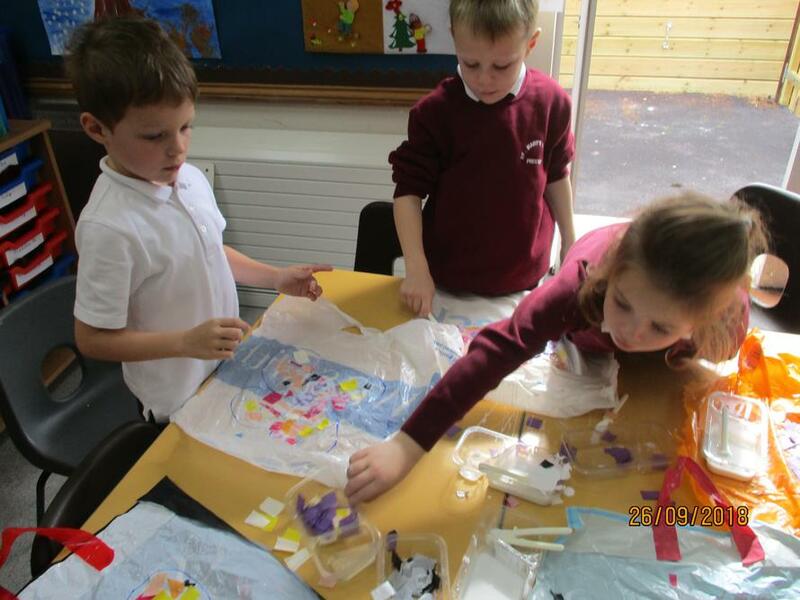 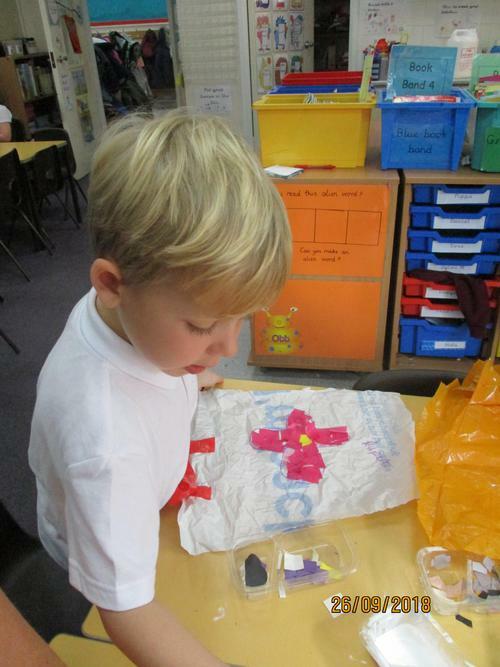 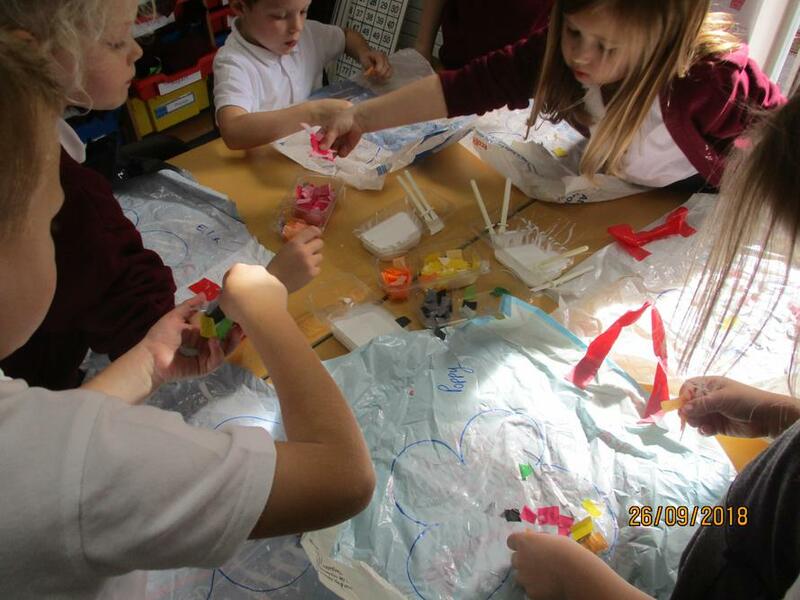 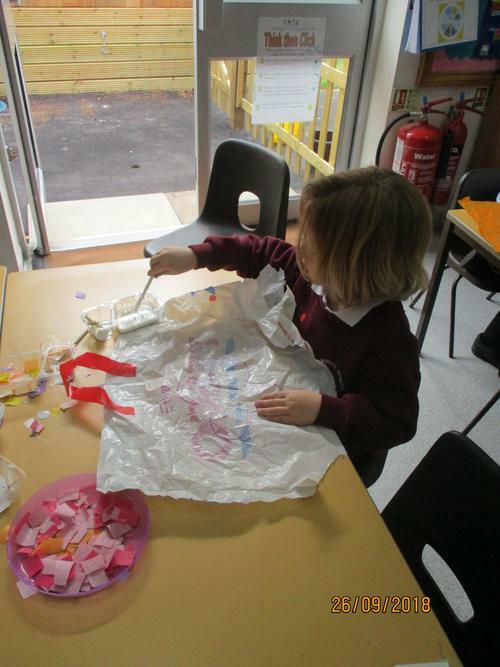 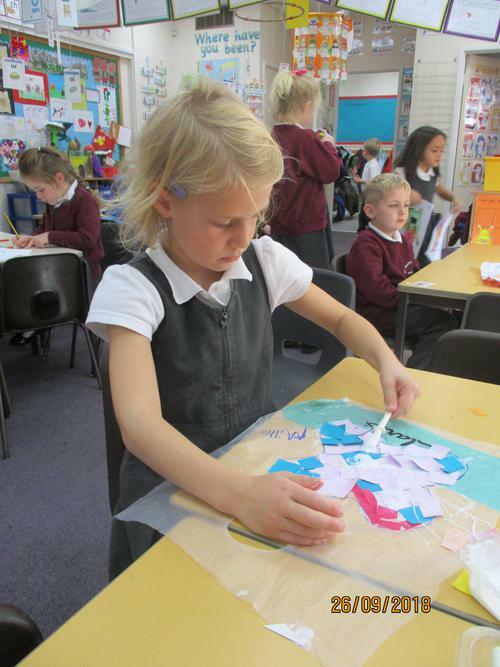 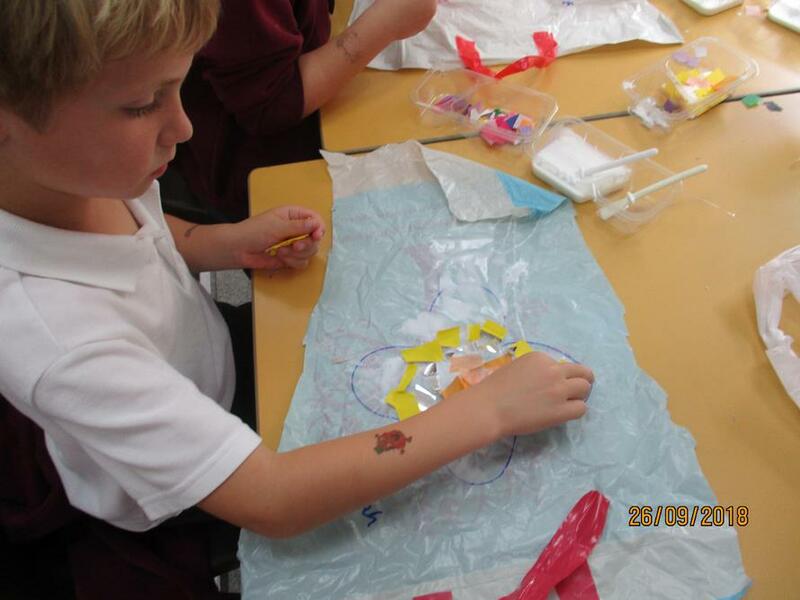 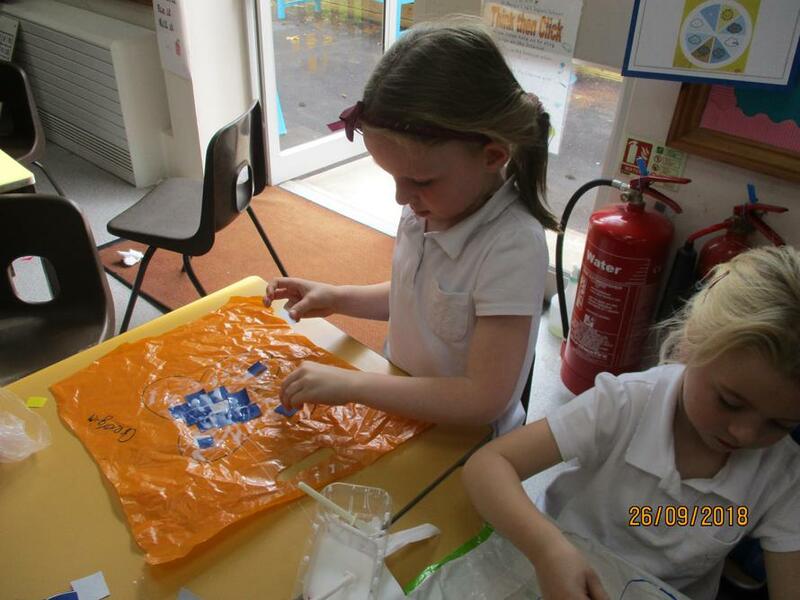 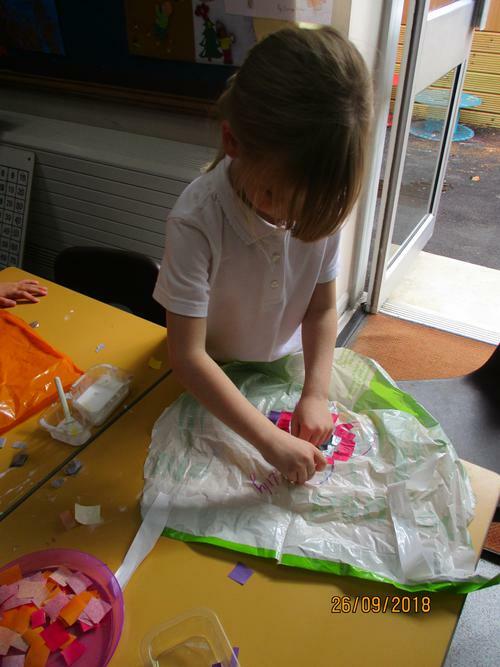 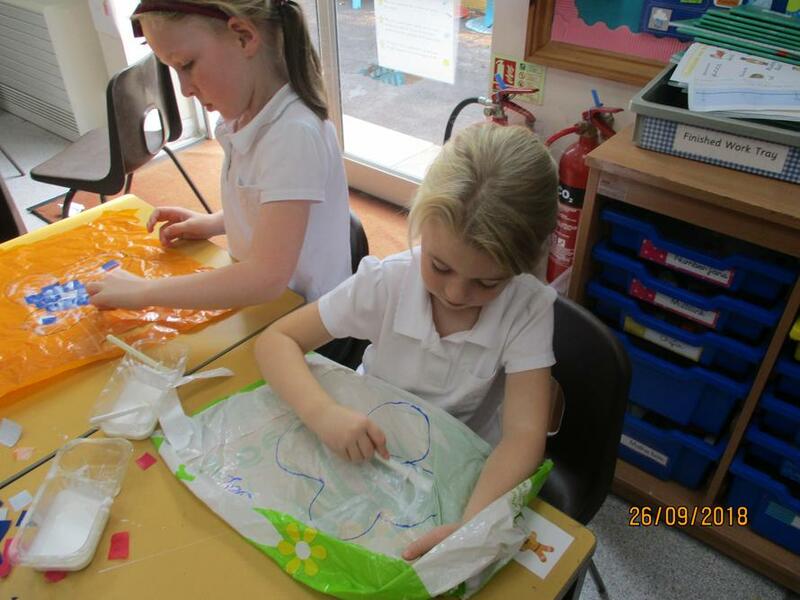 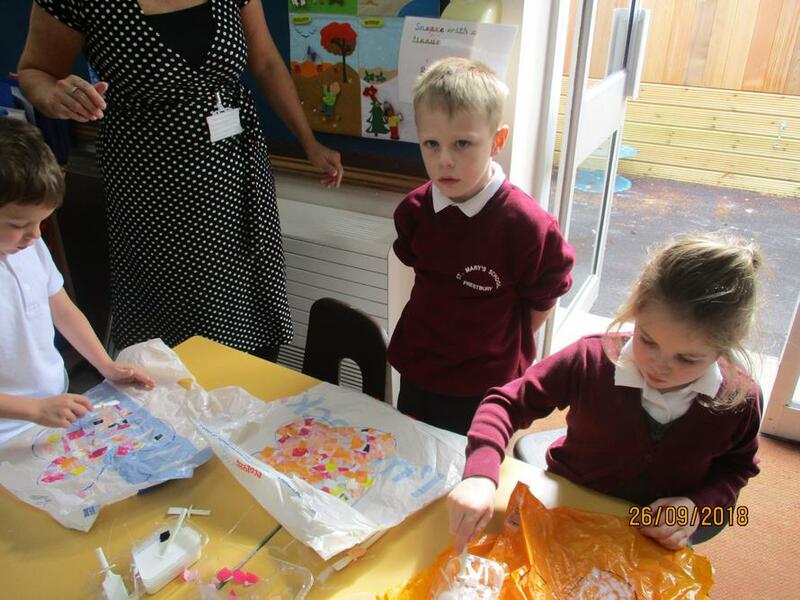 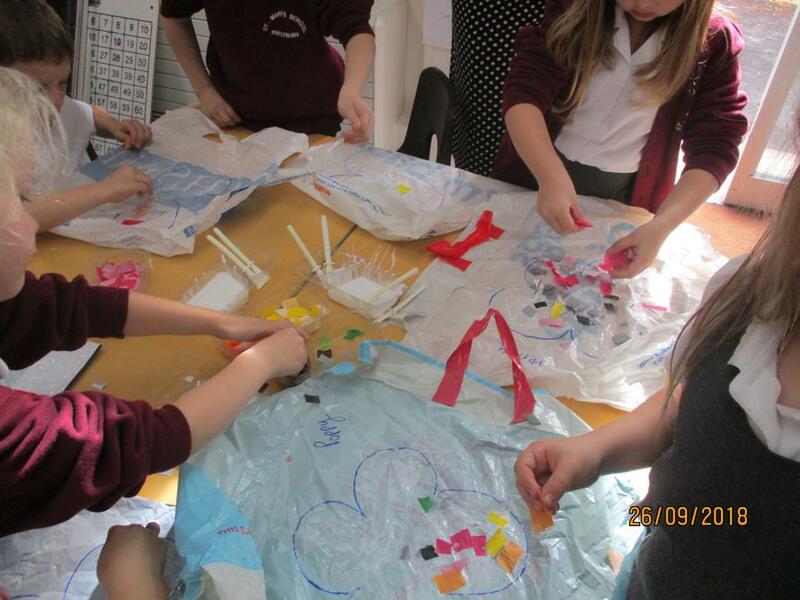 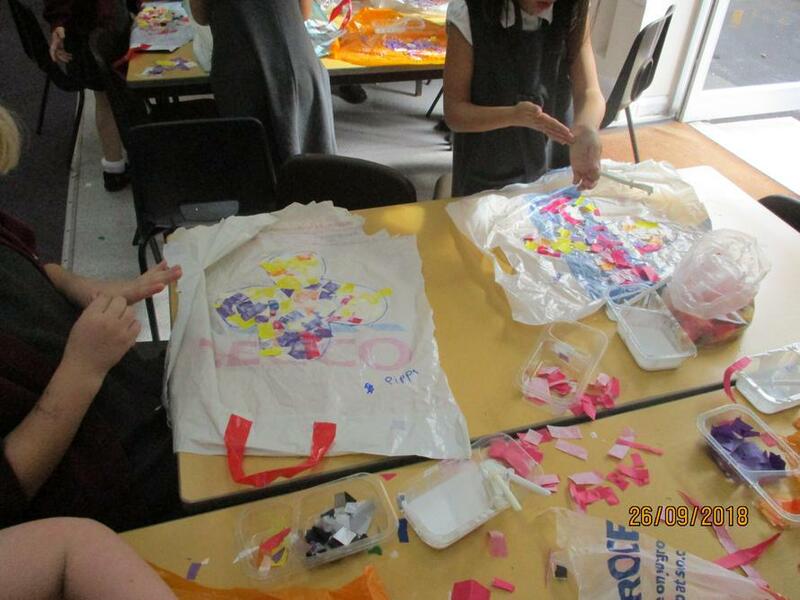 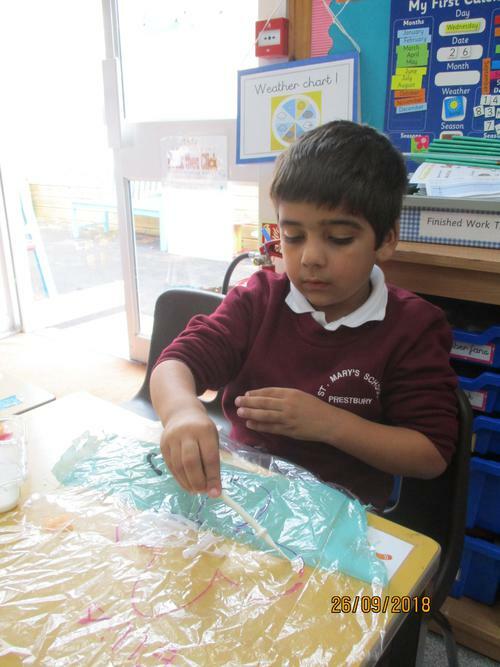 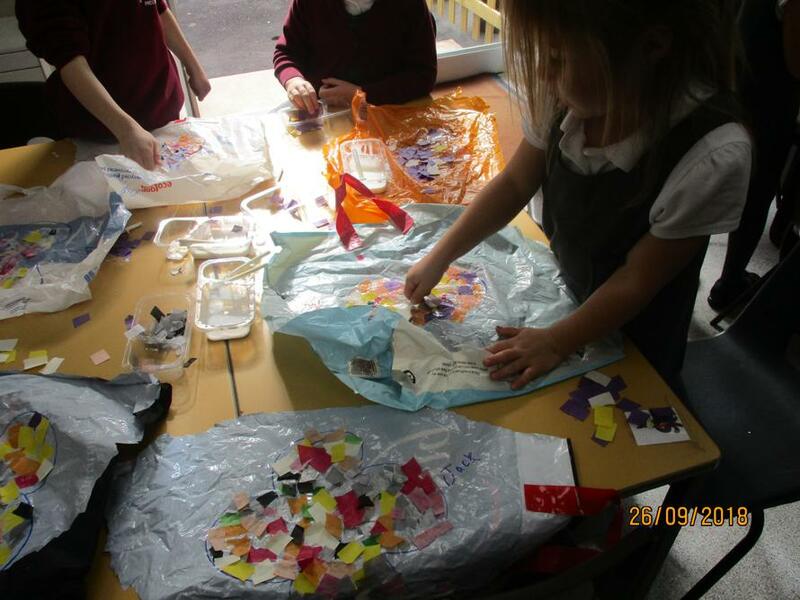 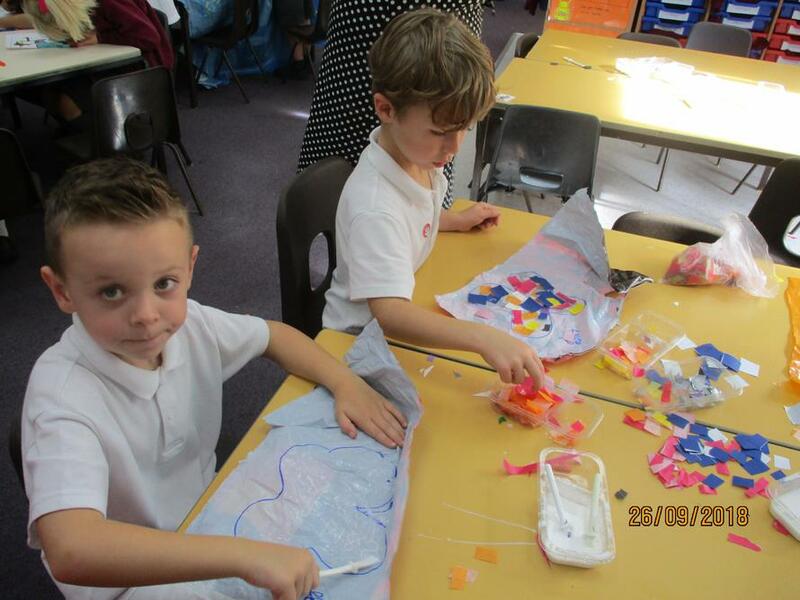 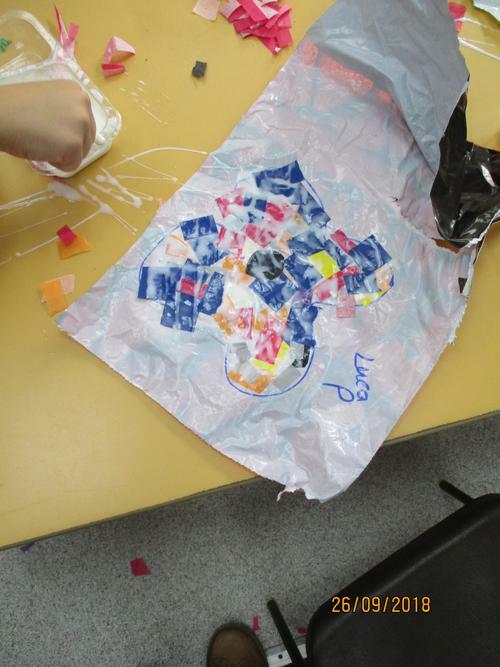 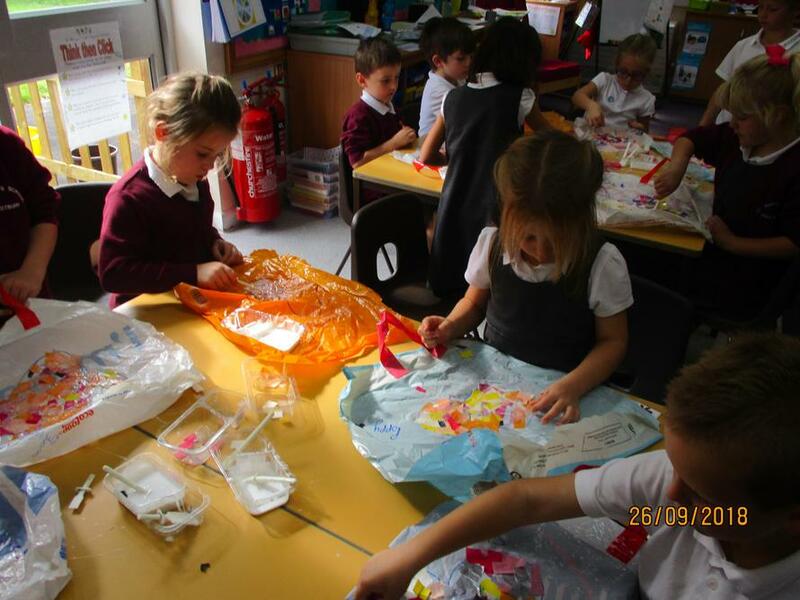 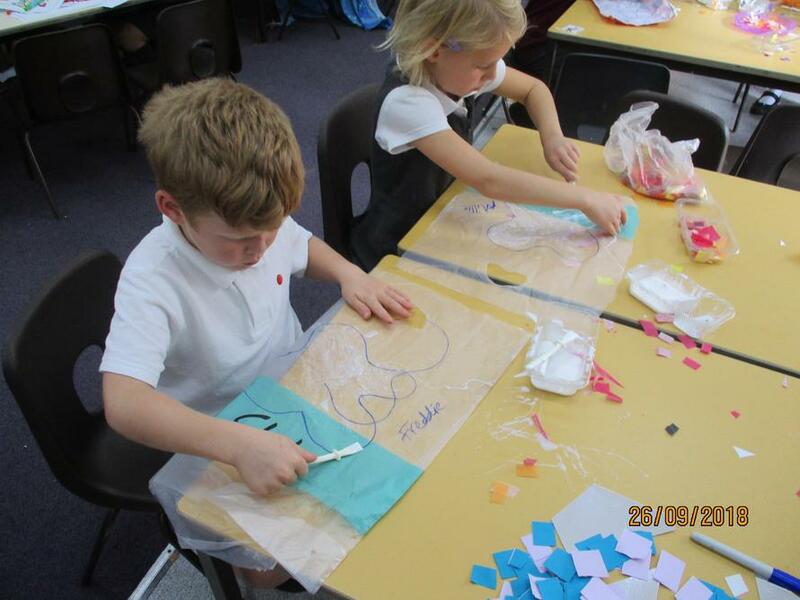 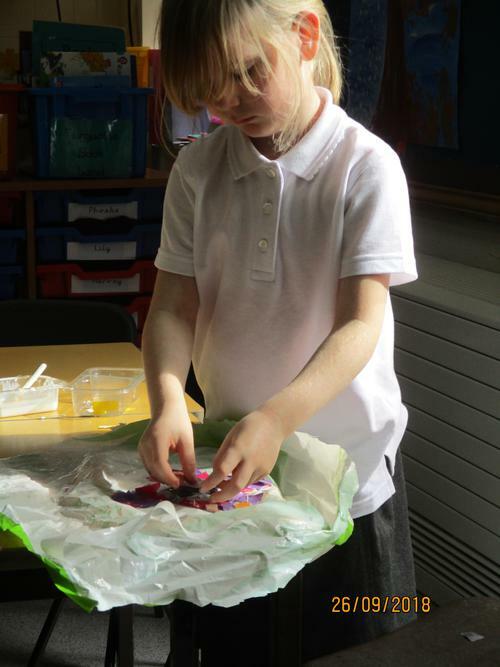 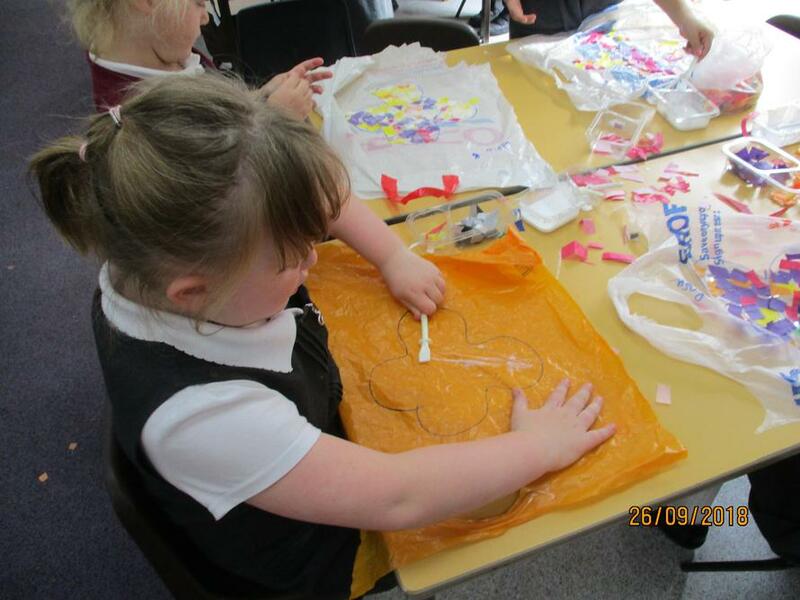 We used a carry bag, paper and lots of glue!! 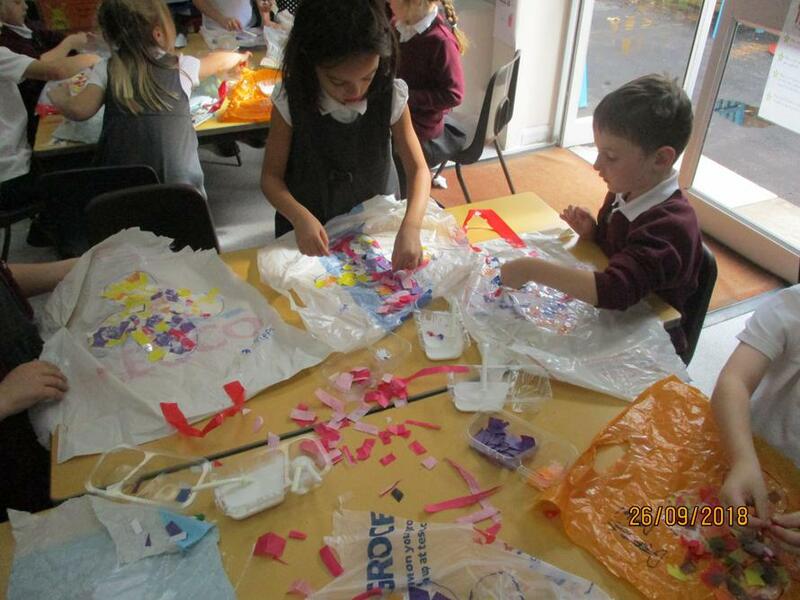 When they are dry we can peel them off the bags and make a huge group sculpture.